The Ultra HD Lipsticks come in simple silver bullets with clear crystal cut acrylic caps. I don't love the packaging because it doesn't feel like the classic Revlon packaging. Additionally, the lipstick doesn't retract all the way into the tube so it's important to remove the cap carefully or else the color rubs on the side of the cap. "Gladiolus" is a bright red with subtle orange undertones and "Iris" is a plummy burgundy with subtle sparkles. 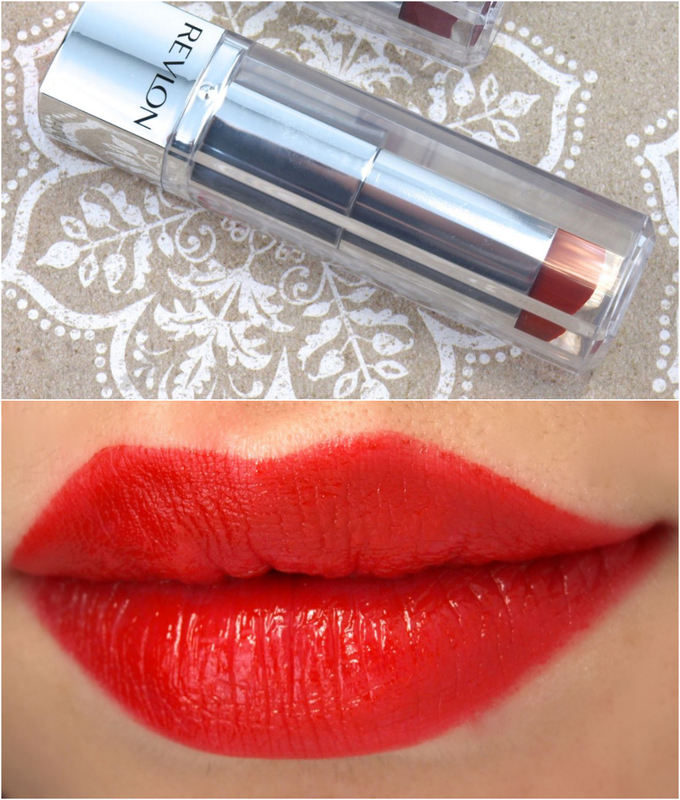 Both colors are very intense and the formulation is incredibly lightweight. The lipstick glides effortlessly across the lips and leaves behind a natural sheen. Though pigmented, the colors are not completely opaque and I found it necessary to apply the colors using a lip liner, especially given that the lipsticks don't have a pointed tip. 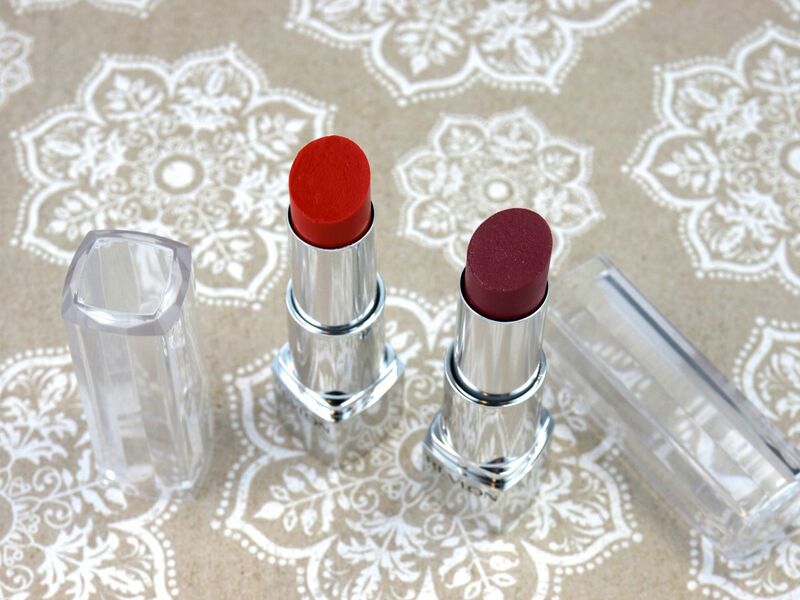 The lipsticks are extremely comfortable and moisturizing on the lips but the wear is not spectacular. The gel formulation, though lightweight, does not cling to the lips like wax-based lipsticks do. Thus the color is prone to smudging and transferring but the colors do stain to leave behind a nice tint. 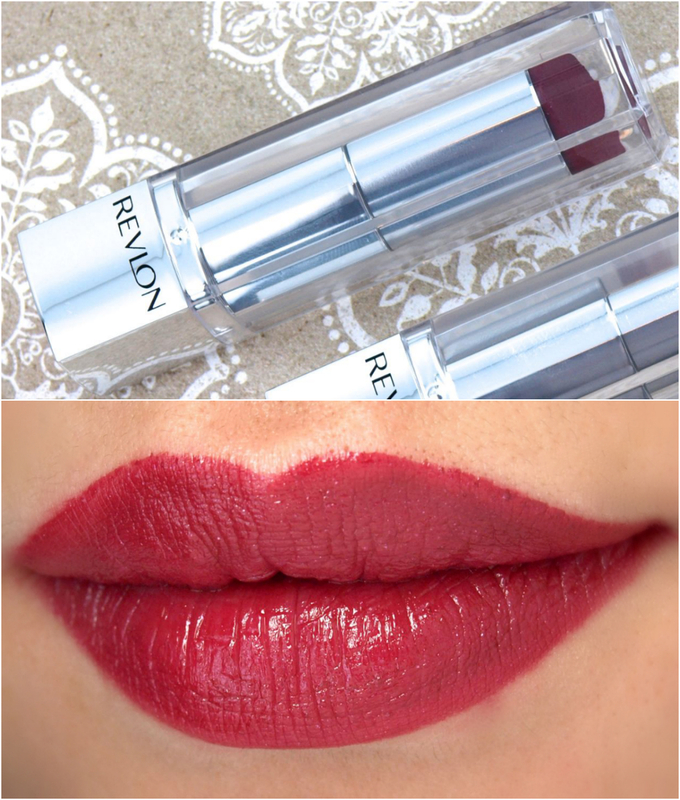 Revlon Ultra UD Lipstick in "Gladiolus"
Revlon Ultra UD Lipstick in "Iris"
These are lightweight and pigmented. 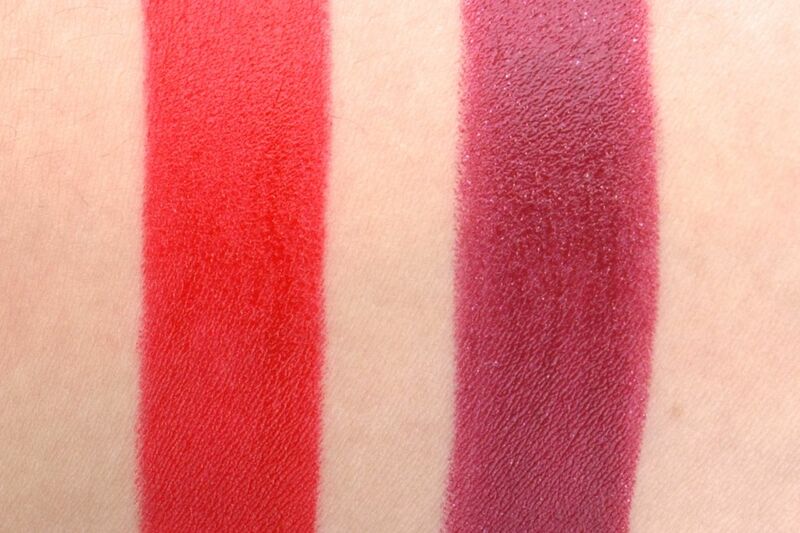 Formulation-wise, these are very similar to the Color Whispers from Maybelline (reviewed here). Moisturizing and comfortable on the lips, the formulation lacks longevity but they do leave lips nicely tinted. 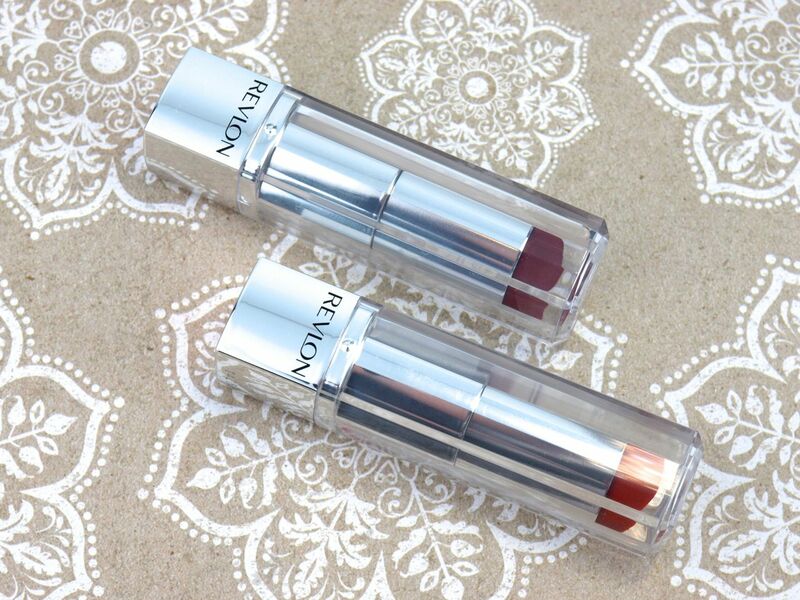 The Revlon Ultra HD Lipsticks are available now in stores. for the Made In Blog Best Canadian Beauty Blog!